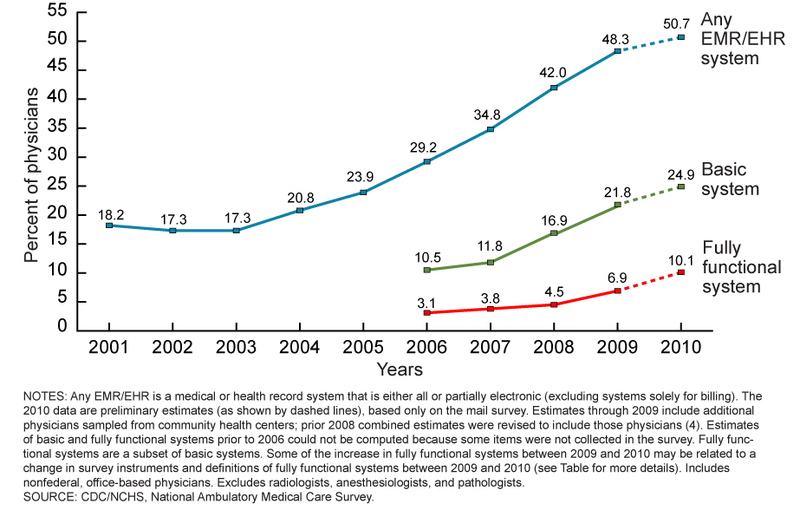 A recent article on the Health Care Blog by Margalit Gur-Arie analyzed the recently released 2011 Electronic Health Records (EHR) adoption rates by the Centers for Disease Control and Prevention (CDC). 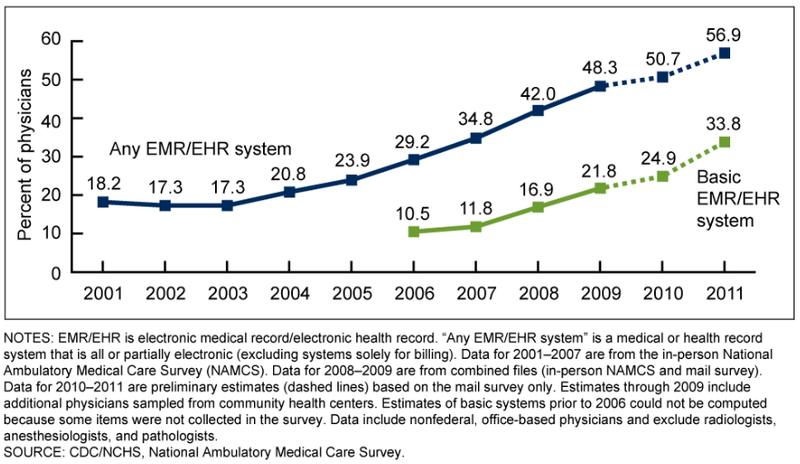 The data revealed that over half of the ambulatory physicians surveyed are utilizing EHR’s. 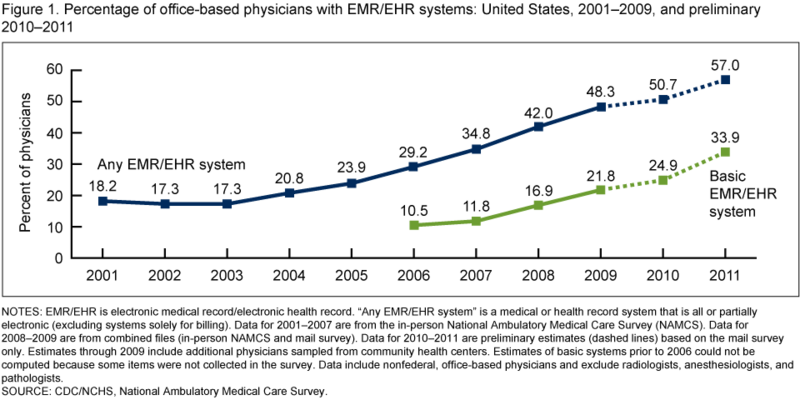 The adoption rate grew at an unprecedented levels during 2006-2010 the growth has slowed during 2010-2011. The study also revealed that about a quarter of practices using EHR’s are only using bare bone software or limited features. 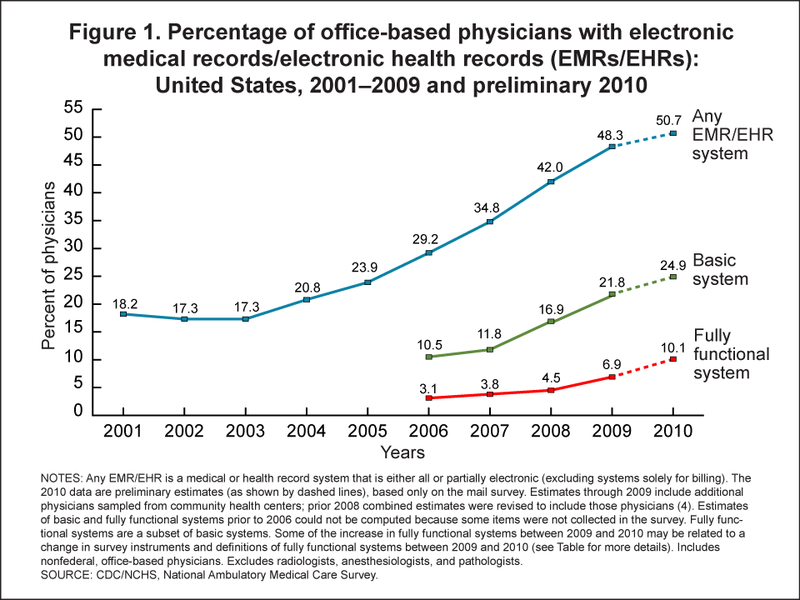 On Wednesday the Centers for Disease Control and Prevention (CDC) released the results of its yearly survey on Electronic Health Records (EHR) adoption for office-based physicians. No surprises. 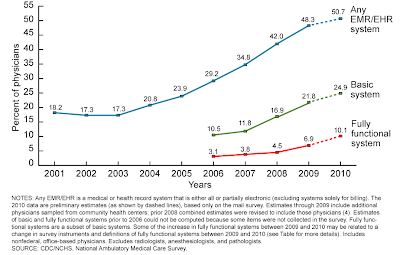 Generally speaking, the majority of physicians in ambulatory practice are now using an EHR, and over half of surveyed doctors say that they intend to seek Meaningful Use incentives. The report is also presenting results broken down by state, so you can learn what folks are doing in your immediate vicinity. 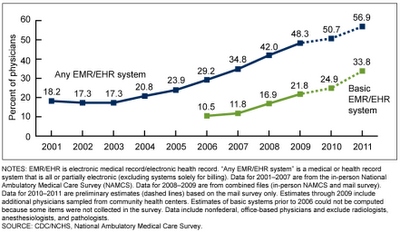 The more instructive exercise is to compare last year’s survey results to this year’s estimated EHR adoption numbers . With this trending information in mind it is difficult for practices to share data without the use of faxing or triplicate forms. ReferralMD’s solution allows practitioners to accept new patients along with their medical records quickly and conveniently, no matter what EHR system is being used. Increase your practice size with referrals.